Good morning! Here’s the overnight news. After catching up, come back to SAI all day for live tech news and analysis. Marissa Mayer does not consider herself a feminist. Marc Andreessen is backing an app for contractors who want to rent equipment. Walt Mossberg says you might want to wait a while before buying a Pebble watch. You blinked, and now LinkedIn is worth $18 billion up from $4 billion at its IPO. You thought Facebook killed Friendster? Hah. Scientists at MIT performed a “digital autopsy” on the social network to find out what went wrong. They say: “the combination of a low cost-to-benefit ratio and a vulnerable k-core distribution” whacked it. Mmmhmm. Of course. This app helps you avoid parking tickets. Pre-paid carrier Leap Wireless bet big on the iPhone … and it’s back-firing big time. EA is going to sell virtual goods in all of its games. Just great. 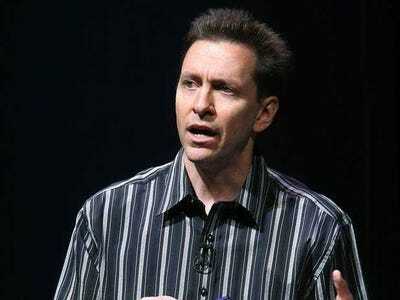 After Apple fired Scott Forstall, it gave each of its other SVPs a $75,000 raise.